Today brings you our final edition of our Designer Holiday Gift Guide for 2016. Over the weekend we put up lights, festive greenery and baked gingerbread unicorns, angels and crustaceans, naturally. Now it’s time to for us to check things off of our gift lists! Part Three of our guide brings goodies selected by Design Associates Anna Foltz and Bianca McKelvy. Maybe you’ll find something for someone on your Nice List? Do you love outdoor adventuring with your canine companion? Ruffwear dog boots are a wonderful way to protect your pal’s paws from the elements. Find an assortment of colors and sizes locally at Pet Loft on SW Macadam Ave. These beautiful wood cutting boards and utensils are made in Eugene, OR from sustainably sourced native red alder. The cutting boards are available in the shape of any of the 50 states, so offer a home-state gift to your friends and family in any part of the USA! Purchase locally at Presents of Mind on SE Hawthorne Blvd. In a city that prides itself on weirdness, Paxton Gate is a source for oddities and ephemera for those who might appreciate a gift that’s a little. . . different. 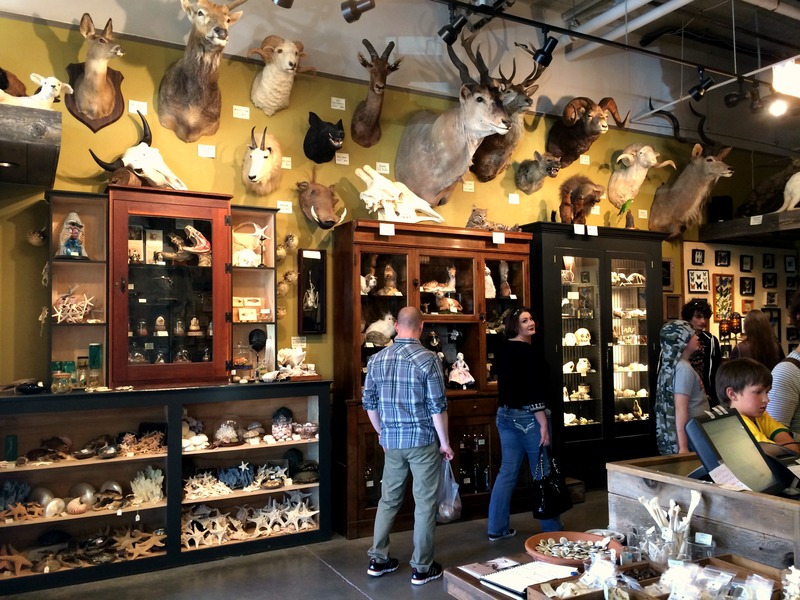 The shop feels a bit like a neo-Victorian biology lab, with eclectic displays of framed insects, taxidermy, exotic plants and jewelry/apparel inspired by nature. This is a fun and funky shopping experience that you don’t want to miss! For the discerning fashion enthusiast in your life, Xtabay Vintage Clothing Boutique is a gem on SE Clinton St. This charming boutique features a choice array of vintage apparel, jewelry and accessories, all in impeccable condition. 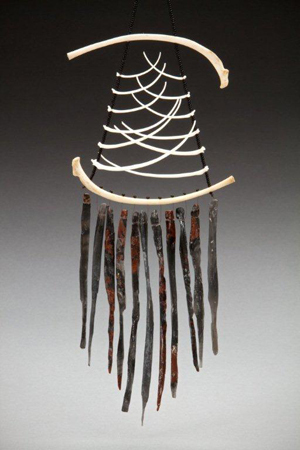 Handmade in Portland, these unique wind chimes are made of obsidian dug from lava beds in Eastern Oregon and driftwood from the West Coast. The delicate music they make is as enchanting as their organic sculptural designs. I love getting my hands dirty and am always trying to learn how to create things instead of buy them. Gifting a workshop from WildCraft Studio School would be great for a crafty friend. Maven Collective on SE Stark in the Mt. Tabor neighborhood always has a well curated selection of vintage home goods, furniture and plants. Jimmy Maks, one of the last great jazz clubs in Portland, is closing at the end of the year. So if you’ve never been, I highly recommend you make it down to the Pearl District and treat yourself to the awesome sounds of the Mel Brown Quartet before their closing night Dec 31st. Ace & Jig creates some of the most beautiful and eclectic textiles and turns them into comfortable, fun garments. I found local artist Martina Thornhill on Instagram and fell in love with her beautiful ceramic pieces. Have you ever seen embossed leather this fun and creative?! I want one of every bag, in every color. Here’s wishing you all the best as you create or look for that special something for all you hold close in your hearts this Holiday Season!